The Fox Chase Cancer Center in Philadelphia doesn’t handle as many pleural mesothelioma cases as some of the other specialty centers, but the care it provides them and outcomes it produces are second to none. Mesothelioma cancer is a high priority. Scott spoke at the conclusion of the sixth annual Advances in Thoracic Oncology Conference last week. The program, which included presenters from Fox Chase and other specialty centers, was aimed at medical professionals and focused on the latest advances in mesothelioma treatment. The audience included surgeons, radiation oncologists, pulmonologists, physician assistants and nurses, including Karen Selby, our nurse at The Mesothelioma Center. Shah spoke on “Strategies for Treatment of the Pleura During Surgery for MPM” (malignant pleural mesothelioma). He touched on the staging system and adjuvant therapies used at Fox; the ongoing debate on whether surgical candidates are better served by the extrapleural pneumonectomy (EPP) or pleurectomy/decortication (P/D); and the future of mesothelioma treatment. Shah and Stacey Su, M.D., handle the majority of the mesothelioma surgeries at Fox. Both trained in Boston at Brigham and Women’s Hospital under renowned mesothelioma specialist David Sugarbaker. 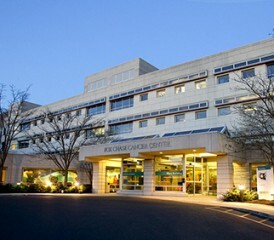 Fox Chase, which is part of the Temple University Health System, is lauded for its multimodality treatment approach for multiple cancers, including mesothelioma. It is known as a pioneer in lung cancer treatment advances, and it’s now focusing more on asbestos-related cancers. The conference at Fox Chase also included a segment on “State of the Art: Robotic Surgery for Complex Thoracic Cases,” by Robert Cerfolio, M.D., from the University of Alabama at Birmingham. He has used robotics extensively for more than a decade, though not necessarily for mesothelioma surgeries. He, too, talked about the importance of experience when treating mesothelioma, a rare cancer that is diagnosed in an estimated 3,000 people annually in the U.S. It is particularly important now with the latest Intensity Modulated Radiation Therapy (IMRT), which is used in combination with both aggressive surgical options and for patients who are not surgical candidates. IMRT — if delivered correctly — kills remaining tumor cells and reduces the risk to surrounding healthy tissue and nearby organs. Rosenzweig also talked about the latest pre-surgery radiation done in Toronto with patients undergoing the aggressive EPP, which removes an entire lung. Neither Mount Sinai nor Fox Chase is using that radiation approach yet, but they are following it closely. He was optimistic, yet cautious, when discussing the future of mesothelioma treatment. He is now seeing patients he first treated four, five and six years before. People are living longer than ever. Conferences like the one at Fox Chase, where novel therapies and recent advancements are discussed, are helping the cause. There also were presentations on immunotherapy, molecular testing and palliative care, all designed to help medical professionals help their patients. Fox Chase Cancer Center Advances in Thoracic Oncology Conference, Philadelphia, (2014, March 28).